When the CoH Team takes you to the Courts of Heaven, there are not guarantees for the results you will get; it isn’t up to us. We can usher you into the presence of God. He will decide if an instant miracle will happen on the first visit as it has happened a few times in the past, but there is NOTHING we can do to MAKE anything happen. GOD is in charge. If we ask for charges, then they will come as the Holy Spirit, our Counselor, opens our ears to hear and eyes to see. It is up to you, the petitioner, to accept these words that are often challenging to understand at face value. It up to you to lean on the Holy Spirit for wisdom concerning how those words, which represent sin, apply to your life. Some in our Team have a gift from the Holy Spirit to help interpret charges… it is the Counselor who brings this wisdom. Without Him we know nothing! It is the petitioner who must choose to turn from the sin as they return to stand before the Judge. It is the blood of Jesus that wipes the sin out of all records of Heaven and Earth and it is the Judge who will overrule cases against them. We have no power to MAKE any of this happen. Because it is the heart of the petitioner who allows the charges to be covered by the blood and wiped out, we can make no guarantees of outcome of a trip to the Courts of Heaven. 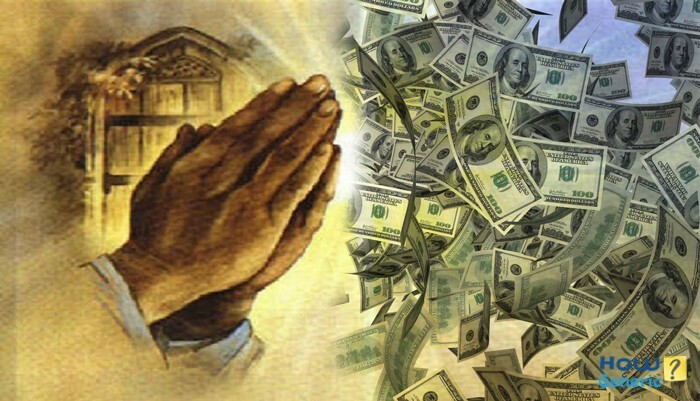 Taking money for prayer is saying that the outcome is determined by you or that it is by your power that something is done. It is placing the emphasis on YOU instead of God.It doesn’t allow the person to acknowledge God after they receive because “donations” are taken before anything is done! In the Old Testament, the only people to accept payment before hand were proven prophets. If what they said didn't come to pass, they were killed and all prophecies given by them were chucked out. We do not have prophets who function by these rules any more, so this doesn't apply. If the petitioner receives something from a ministry, in knowledge or prayer, it should be up to that person to give an offering. “A workman is worth his wage” is God’s way. But let the work be done first so the recipient can acknowledge God is in this work by giving an offering back. What is given should reflect what has been received: $1 from some is like $1000 from others who have much. This gift honors God and acknowledges Him in the work being done. An offering to a ministry where you receive something will allow that ministry to continue brining God to the rest of the world. Receiving from others is hard for me. I feel like I play such a small part in it all: Without the Father, Son, and Spirit I am nothing. But I realize that I must allow others to acknowledge God for their own benefit and so this ministry can do more. For this reason, I am adding a link to the scheduling page at LynnHardy.com: Love Offerings for the Courts of Heaven can be given there after you have received something. These will go first to the expenses of Zoom accounts, website costs and such. After your visit, I hope you will pray and ask God what you should freely give to acknowledge Him. This is God’s Way!